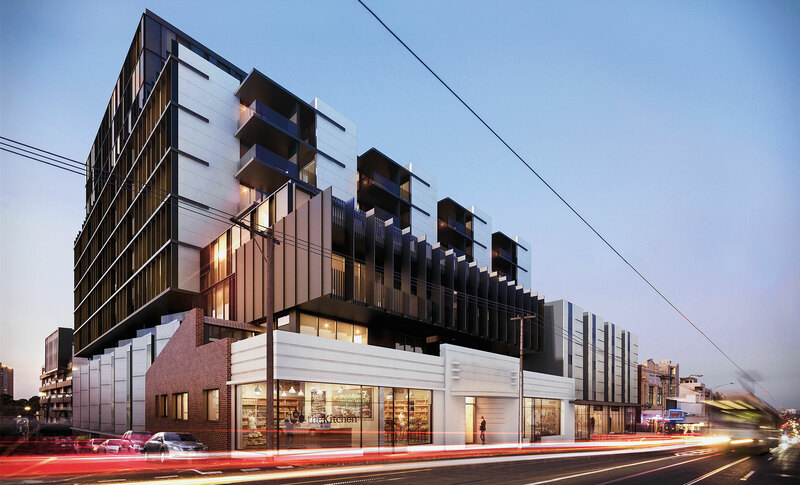 Placed at the corner of Bridge Road and Judd Street, Dux’s proposed design references the site’s manufacturing history with subtlety and resonance. 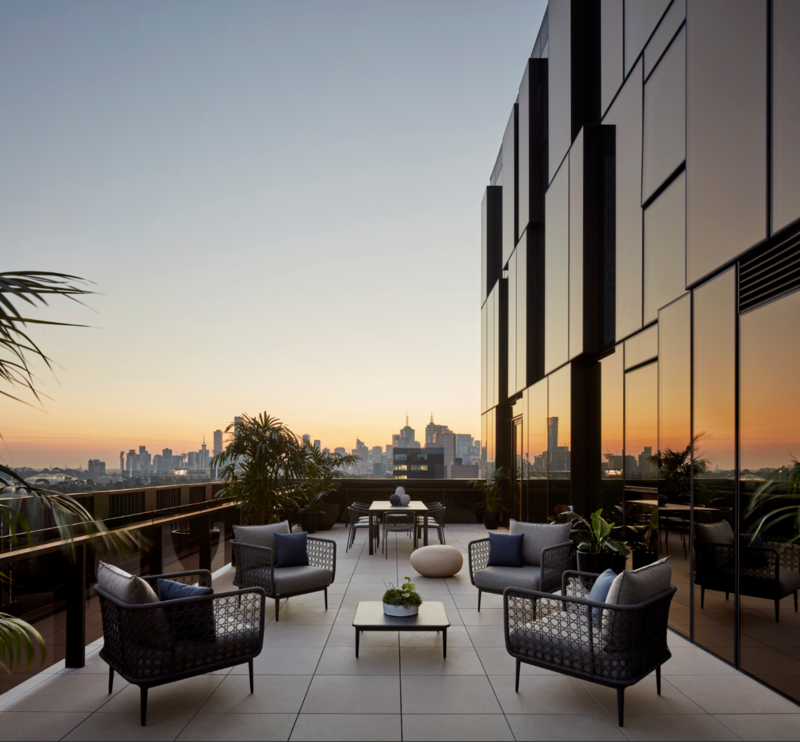 Dux responds to Bridge Road’s required revitalisation by injecting a variety of dwellings and retail tenancies that have been realized through high-quality architecture. Carefully divided into three primary built forms, the massing comprises a podium element which responds to the street wall height, a middle section of five floors, and finally a crown. Precast concrete forms reflect the existing street rhythm and provide deep articulation to the podium. 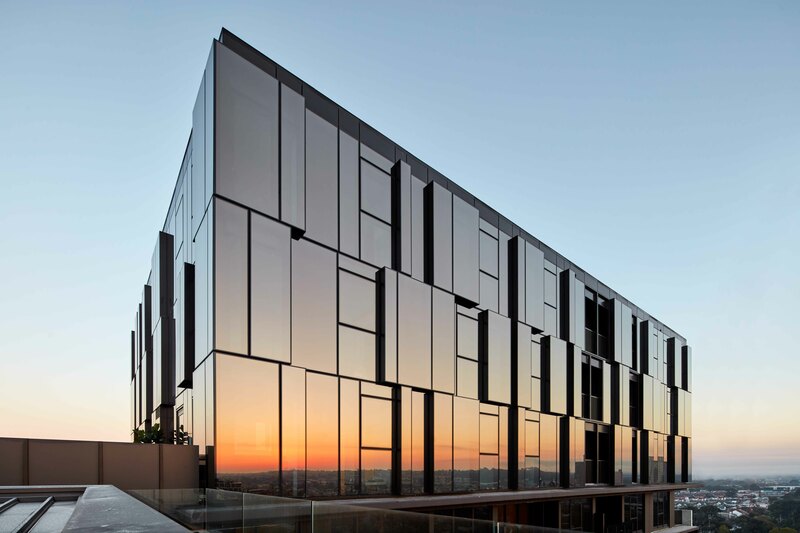 The heritage façade has been deliberately contrasted with a planar dark building surface above and behind. Residents of Dux by Little Projects are encouraged to enter via the primary lobby at the northern end of Judd Street where the natural fall of the land allows for a generous atrium volume. Secondary entry sits on Bridge Road, with immediate access to local amenity, using the existing Art Deco building to retain and reinvigorate the original entry. 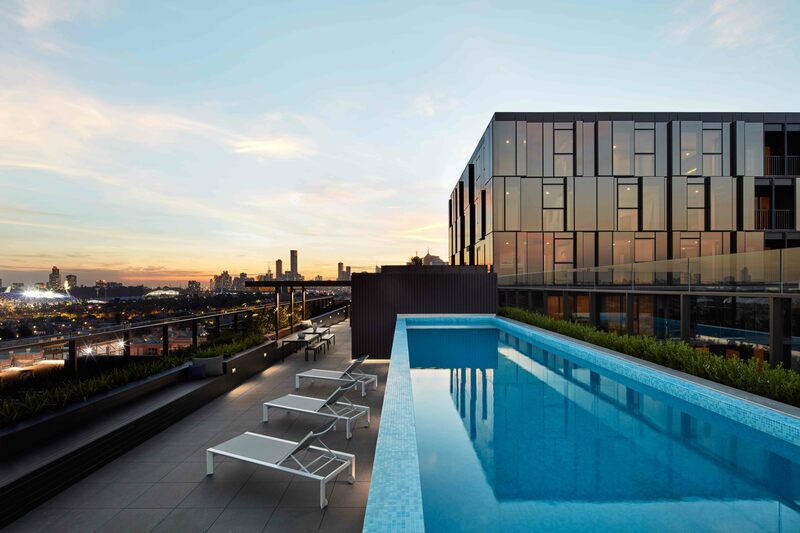 Fixed metal fins offer passive shading from the north while giving a strong sense of rhythm to the facade, and a ‘sawtooth’ motif follows the west perimeter to orient and focus views down the laneway.